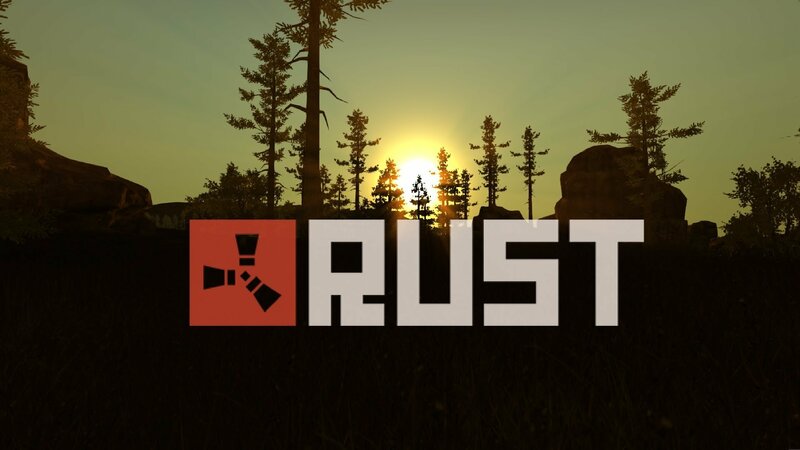 Rust is a survival game that takes place on an island that is procedurally generated (which means generated randomly). There are tons of things to do in Rust, and I will be explaining most of the game mechanics and things there is to do in the fantastic world of rust. In the image above (on the right) is the crafting system in rust. You can craft something as small as a rock all the way up to something as big as a machine gun (they are still adding items to the game). As you can see from the picture, there are different tabs for each category. From left to right, the categories are all items, building items, vanity items, natural ingredients such as paper, and gunpowder, then clothing, tools, medical, weapons, ammo, and miscellaneous. These are just two out of the multiple guns you can make in the game, most of which look homemade with scrap material (excluding the grenade, c4, mp5, and Lr-300 ). Each weapon has it’s own unique spray pattern, sounds, and stats. There are also several attachments for the weapons that look different on most of the weapons but may also remain the same from weapon to weapon. The hitboxes (which are the areas that determine the percentage of damage or whether you do damage at all to a target) are so specific that they have a hitbox for the eyes. To give you a better example of hitboxes most good first-person shooters have a hitbox that conforms to the body of the characters while bad first-person shooters have hitboxes shaped like rectangular prisms, which means you could miss but still essentially hit your target. If you hit the head it’s its generally 200% damage so if that shot initially does 50 hit points then it would be 150 hit points which in rust means you are dead unless you are wearing a really good helmet with projectile protection. Rust has a tier building system in order from twig, wood, stone, scrap metal, and armored. Most people recommend you skip scrap metal because it’s not much stronger than stone and you can see through the scrap metal which gives you a slight disadvantage against raids because the raiders can see where you are, and they can see what is the rooms, which makes it easier to find your loot room and building privilege. Another big mistake players make is only upgrading the material around your loot room because you don’t have the materials to upgrade the rest of your base. Let me be the first to tell you that is a super duper bad idea because it makes it super obvious where your loot room. Thus, I waste fewer resources getting all of yours. If I were you I’d spend those resources adding and upgrading your airlocks, which is a room going into your base or other important room. Airlocks have a door on one side and another door, so you can open a door, walk in, close the door, and open the other so that unwanted riffraff can’t steal your stuff. Generally, a rule of thumb is that the more airlocks you have the more tedious it is to get around your base, but it protects your loot from raiders. Overall, I’d rate this game an 8/10. It has constant updates, a huge community, and overall a good first-person survival game with some first-person shooter elements. If you like games with shooting and stealing other peoples hard work, this is just the game for you. This article is good for new players and people who are interested in the game of rust. It would have been nice to inform people of how toxic some of the players are and how to get resources and craft armor. Also the the monuments that are implicated in the world of rust and the difficulty of the puzzles.